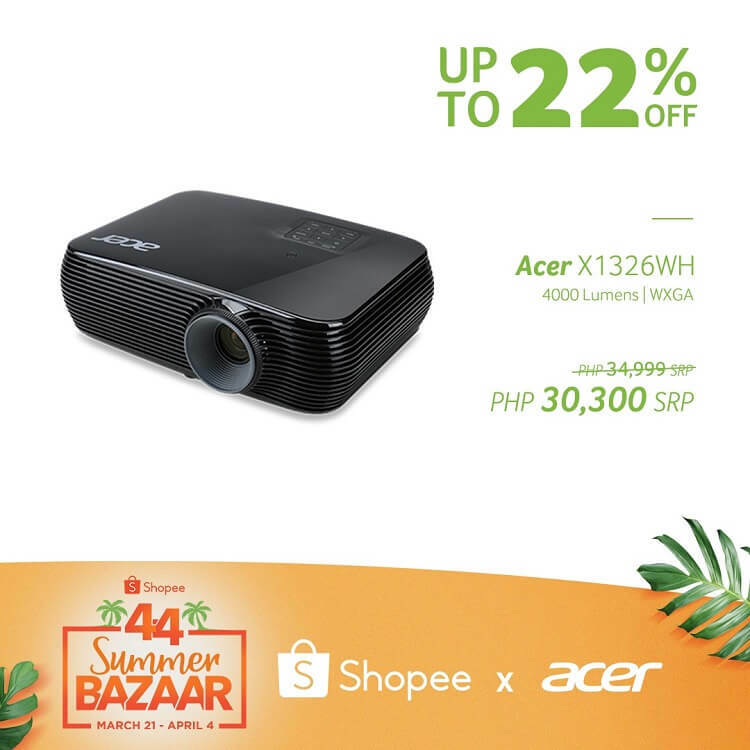 We’re sure that you’re already feeling the summer heat, and to welcome the season, Acer Philippines joined Shopee’s 4.4 Summer Bazaar where consumers can get up to 22% discount on select Acer products. Happening until April 4, you can score select Acer products at discounted price through Shopee’s exclusive deal. Participating products include the Nitro 5 and Aspire 3 laptops. 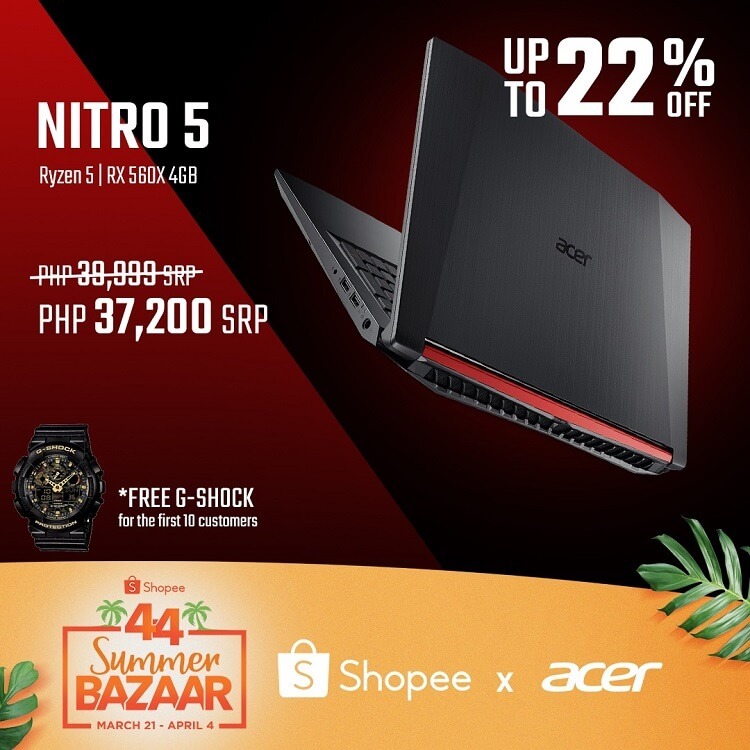 “Acer fans can look forward to a lot of exciting deals for Shopee's 4.4 Summer Bazaar and even more in the coming months as Acer and Shopee commit to working together more so we can give shoppers only the best deals on laptops, monitors, projectors and accessories,” Sue Ong-Lim, Acer Philippines Sales and Marketing Director, addressed. 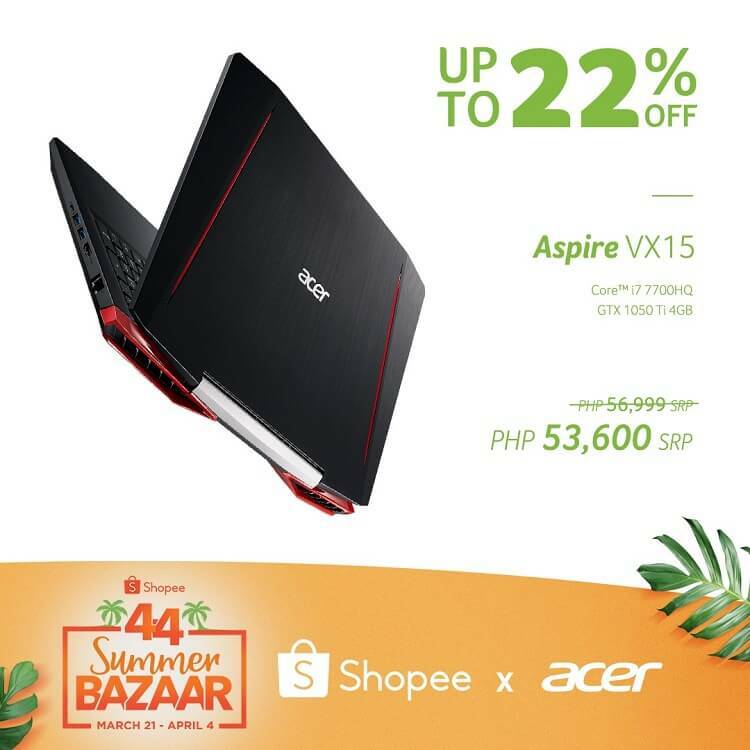 For more information, please visit Acer’s official Shopee store here. Meanwhile, Shopee announced that they will offer huge prizes including free round-trip tickets to El Nido for 4, Php100,000 in cash, a whopping Php4 million Shopee coins with Shopee Quiz, and flash deals from top brands starting at Php44! So, share this to your friends and get a chance to win these exciting prizes!